The Eucalypts are flowering prolifically this season. 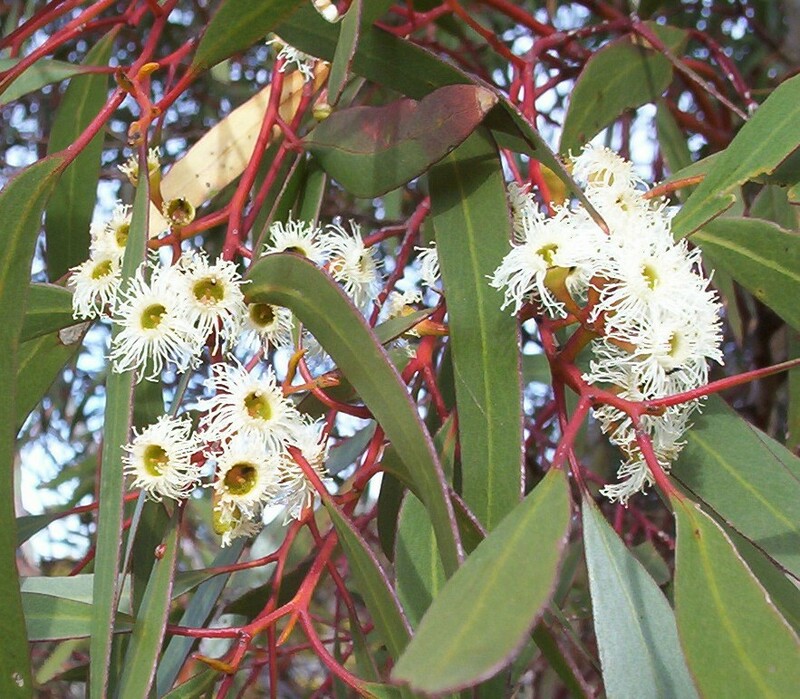 it always amazes me that the local Mallee Eucalypts flower and put on beautiful new growth during the hottest and dryest part of the year. The bees are very busy and the smell of honey is quite strong on a hot day. I found this mallee at Lowan Conservation Park when we visited there a couple of months ago. It is a frost hardy and drought tolerant plant. It is often cultivated because of its ability to grow on a range of sites in dry areas, including shallow limestone. It has a moderate growth rate and flowers at an early age. Its height ranges from 2 to 8 metres. Here it seems to be about 5 metres tall with a lovely wide canopy of foliage, making it a nice shade tree.